Styrofoam extruded polystyrene insulation is renowned for its exceptional thermal performance, high compressive strength, and low water absorption, making it the preferred choice of specifiers for a wide range of demanding applications. 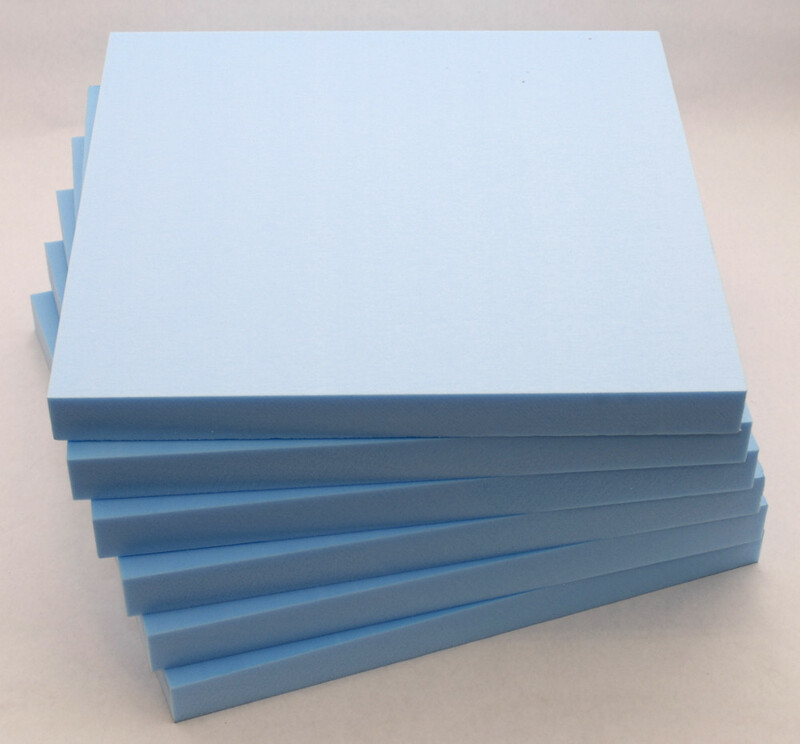 Styrofoam Sheets – Our distributorship with Dow Chemical enables us to offer a comprehensive range of Styrofoam Extruded Polystyrene sheets, hot-wire styrofoam cutting sheets to any thickness and CNC machined components. 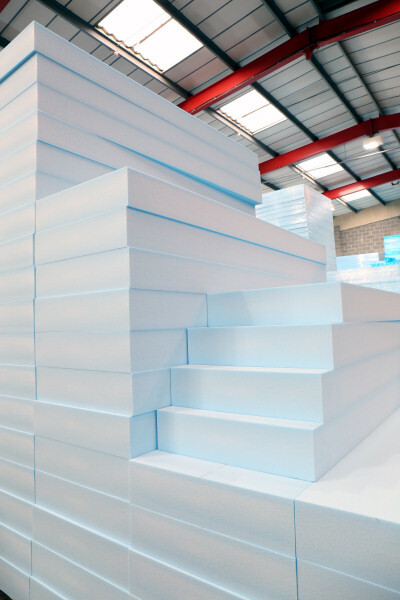 Our commitment to Styrofoam is demonstrated by a stock holding of 3000M3 and is the largest single stocking point in the UK. Our warehouse is one minute from Junction 31 of the M1 and is ideal for delivery or collection. Styrofoam is an extruded polystyrene. It was first developed and produced in the 1940’s by Dow Chemical in the USA. The process of extruding polystyrene results in a material with uniformly small, closed cells and an unrivalled set of properties which make it ideal for insulation and also as a core in lightweight structural panels. Styrofoam combines low thermal conductivity and low water absorption to make it the choice of specifiers in a wide range of demanding insulation applications. Styrofoam also has excellent mechanical properties including high strength in compression, tension, bending and shear which are essential for a core material in structural panels used in a range of markets including coldstores, touring caravans, truck panels, building and curtain-walling. The small uniform cell structure of Styrofoam is also ideally suited for use in markets such as hobby and craft where traditional modelling tools can create three-dimensional models. Click on the branded product sites for for further information including online purchasing. 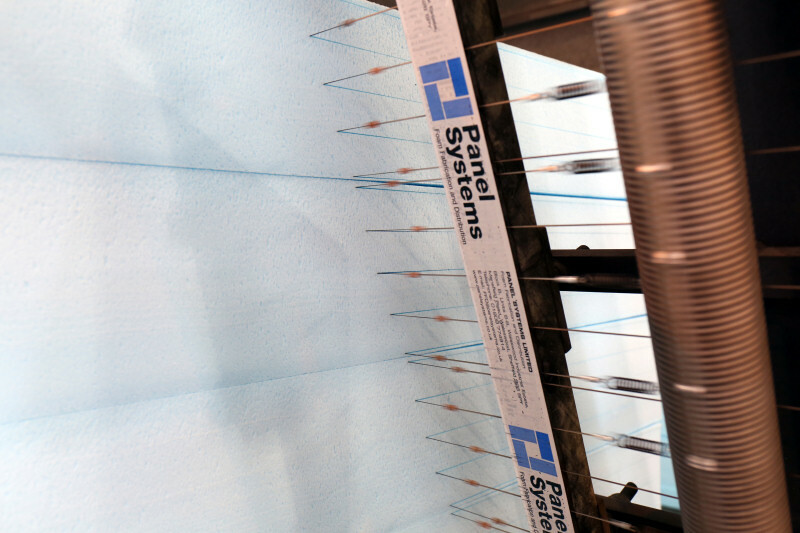 Panel Systems has one of the largest specialist fabrication units for the hot-wire cutting of Styrofoam in Europe. Hot-wire cutting facilities include large volume and small batch capability. Blocks and/or sheetscan be cut to a thickness of 5mm and by 0.5mm increments to around 150mm. Our purchasing power enables us to source an extensive range of fabrication blocks from Dow with lengths up to 3025mm, widths up to 1200mm and thickness up to 165mm. This ensures that the customer is able to achieve his required sheet size with the minimum of waste. The hot-wire cut surface of Styrofoam is ideal for the application of adhesives and is fully compatible with metals, plastics, and timber based products for bonding purposes. For pricing information please contact our sales office on 0114 249 5635. Panel Systems operates three large 3-axis Cnc routers able to machine sheets up to 3650mm x 1525mm. In the case of Styrofoam, blocks up to 165mm are machined. In house CAD/CAM facilities enable us to rapidly prototype customer requirements and undertake both large and small production runs. We are able to import an extensive range of file formats eg. dxf, dwg and we will also create CAD drawings and machining programs from customers rough outlines. For pricing information please contact our sales office on 0114 249 5635. Type X which are foamed by a HFC. The ODP and GWP of the HFC foaming agent are 0 (kg CFC11 equivalent/kg HFC) and 1300 (kg carbon dioxide/kg HFC) respectively. Type A which are foamed by carbon dioxide. The ODP and GWP of the carbon dioxide foaming agent are 0 (kg CFC11 equivalent/kg carbon dioxide and 1 (kg carbon dioxide/kg carbon dioxide) respectively. The vast majority of Styrofoam waste created during our production is compacted and recycled. For some of our customers it has proved to be beneficial for Panel Systems to undertake additional fabrication and machining to minimise their waste. We pride ourselves on our high level of quality & service and all our products are manufactured to British Standard BS EN 9001:2000. We keep extensive stocks at our Sheffield warehouse close to Junction 31 off the M1, ready for collection or distribution across the UK. There are significant changes underway in the supply of Styrofoam the market leading extruded polystyrene. During 2018 Dow Chemical will cease the manufacture of blue Styrofoam and replace with a new improved product called Xenergy Styrofoam. This product will be grey in colour and offer the same mechanical properties but will provide improved thermal performance. The process of winding down stocks of blue Styrofoam is already underway with some grades already exhausted such as RTM, these will be supplied in the new improved grade of Xenergy. Other grades will be phased in over coming months. Full technical data sheets on the new improved product are available to download here and here. High Mechanical Strength in compression, tension, bending and shear. 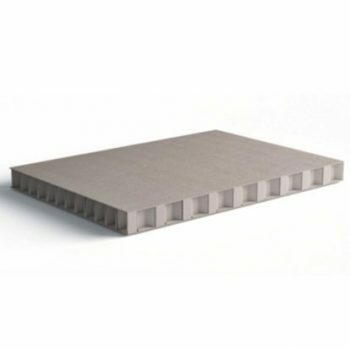 Panels manufactured with Styrofoam exhibit high impact strength and resistance to dynamic loading. 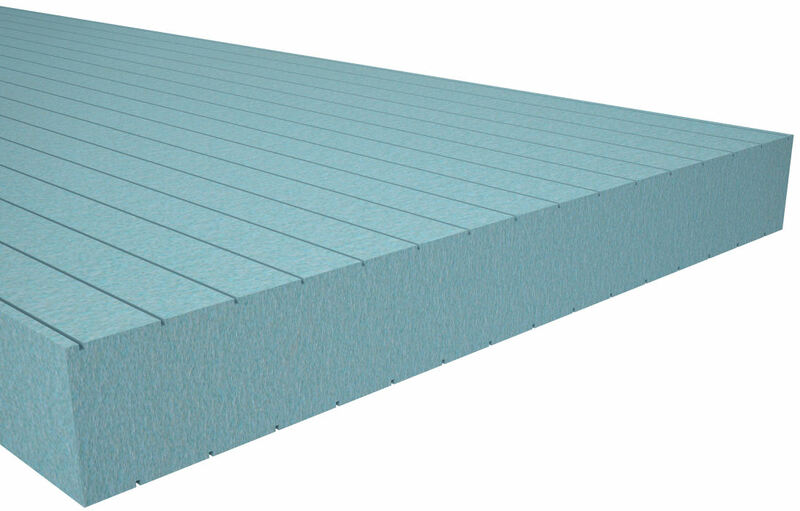 Good Thermal Insulation – Styrofoam has excellent thermal properties. Water and Vapour resistance – The closed cell structure of Styrofoam ensures that performance is maintained even in external situations or where moisture exists. Bonding Surface. Styrofoam has a smooth dust free surface and is ideal for bonding. Hot-wire cut Styrofoam is available and provides an excellent bonding surface combined with consistent thickness for high quality bonding. The uniform small cell structure of Styrofoam is ideal for Craft and Modelling activities. It is easily cut with a good surface for painting. The use of composite panels in the production of caravans and motorised homes has grown significantly . The very high strength-to-weight ratio of composite panels provide significant benefits in the design of caravans and motorised homes. 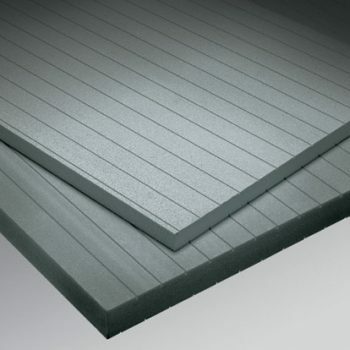 Styrofoam is ideal as a core material for composite panels. It’s high mechanical strength is suited to the dynamic loads attached to these applications. It will also help in the design to reduce the number and cross-section of wooden inserts. Styrofoam will also provide excellent insulation performance even at low temperatures during winter months. Grades typically used are Styrofoam IBX and LBX . The technical requirements for refrigerated truck bodies are defined by regulations and by economic considerations, which include the resale value of a vehicle. To be cost effective, refrigerated truck bodies must be insulated effectively whilst also being lightweight and built with highly durable materials to last for decades. By choosing Styrofoam as a core material it is possible to satisfy those requirements. 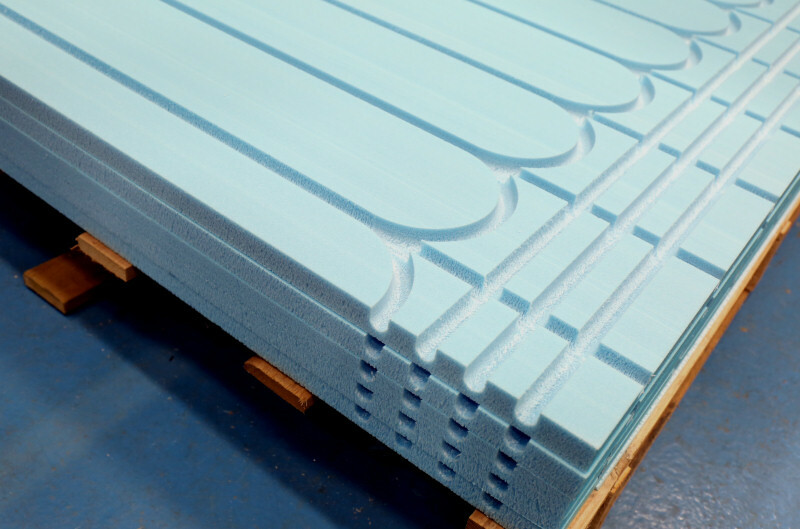 Panels with Styrofoam core material have been used in the manufacture of floors, walls and roofs of refrigerated truck bodies for more than 25 years with proven success. Styrofoam RTM, Styrofoam LBX and HD300X are designed to meet the needs of the refrigerated truck market. All products are produced in a range of thickness to meet the needs of the specific application. Panel Systems offers a comprehensive fabrication service to provide complete kits and/or components for the production of truck panels. Styrofoam is ideally suited to both water and electric matting underfloor heating systems (UFH) due to it’s high compressive strength and impressive thermal insulation properties. 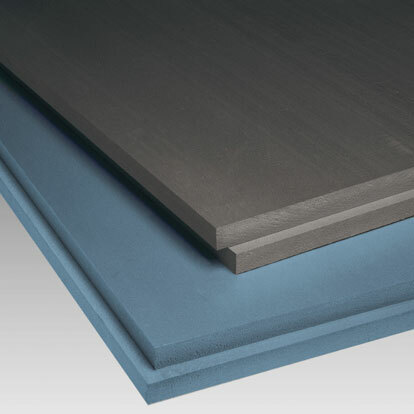 Waterproof, rot and mould resistant and lightweight, Styrofoam is available in a range of thicknesses from 6mm upwards. It offers high levels of impact resistance. In hot water based UFH systems, Styrofoam can be CNC machined to accept water pipes. The density of Styrofoam is such that high quality and consistent grooving is achieved to ensure a good fit for the water pipes. Contact our sales team on 0114-2495635 for pricing. For electric matting systems where there is an existing un-insulated floor slab, sheets can be readily cut and fitted by hand. Floor tiles can be laid using any water based tile adhesive. Wood laminates can be laid in direct contact.